Upon arrival to Zagreb, transfer from the airport to the hotel with a panoramic city sightseeing tour. Depending on the arrival– afternoon walking city tour of Zagreb, the capital of Croatia. Walking tour through the narrow streets of Upper Town, passing the Cathedral, Dolac open air market, Stone Gate, St. Mark’s church with its picturesque roof, Parliament and Government buildings, Lotrscak Tower and many more.Dinner and overnight in the hotel. After breakfast, departure to Marija Bistrica, the largest and most visited Marian sanctuary in Croatia. Catholic faith has deep roots in the Croatian history and Mother Mary (called Queen of all Croats) is specially honored. 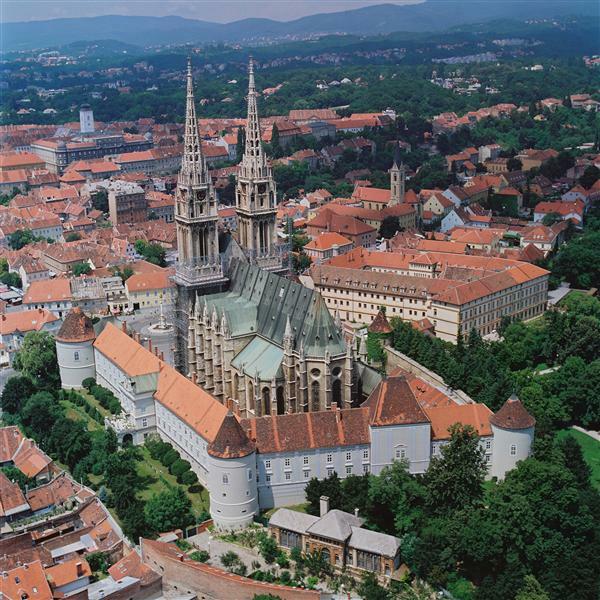 The main pilgrimage site here is the parish church of St. Peter with a miraculous gothic sculpture of the Mother Mary of Bistrica dating from the 16th century. This church became a Croatian sanctuary in 1715 by the Parliament's decision. On the hilltop of Bistrica's Calvary, the Way of the Cross is marked by stone and bronze sculptures and consists of 15 stations showing Christ's passion. Drive back to Zagreb.Dinner and overnight in the hotel in Zagreb. After breakfast, departure to Rijeka. Sightseeing of Rijeka. Visit of the famous church and sanctuary of Our Lady of Trsat, situated above the town. According to the legend the sanctuary's history began with „Mary's house“ being transfered from Nazareth to Trsat in 1291 and then to Loretto, Italy three years after. 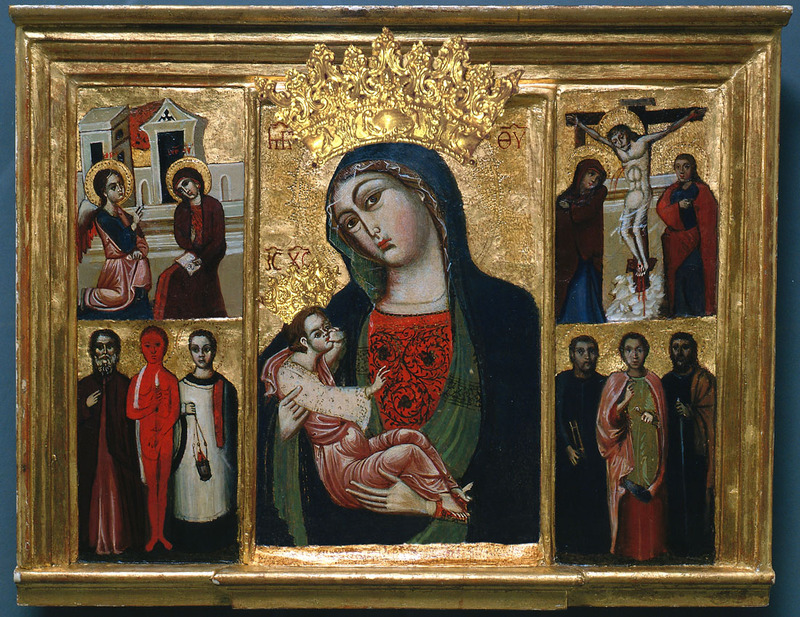 Its 13th century Franciscan cloister painted with 32 scenes from the file of the Virgin Mary with the Votive Chapel contains numerous picturesque popular illustrations of the miracles of Our Lady of Trsat. Dinner and overnight at the hotel in Opatija. After breakfast, departure for Sibenik with a stop in Zadar. Sightseeing of Zadar includes a delightful walk through the old core of the city. 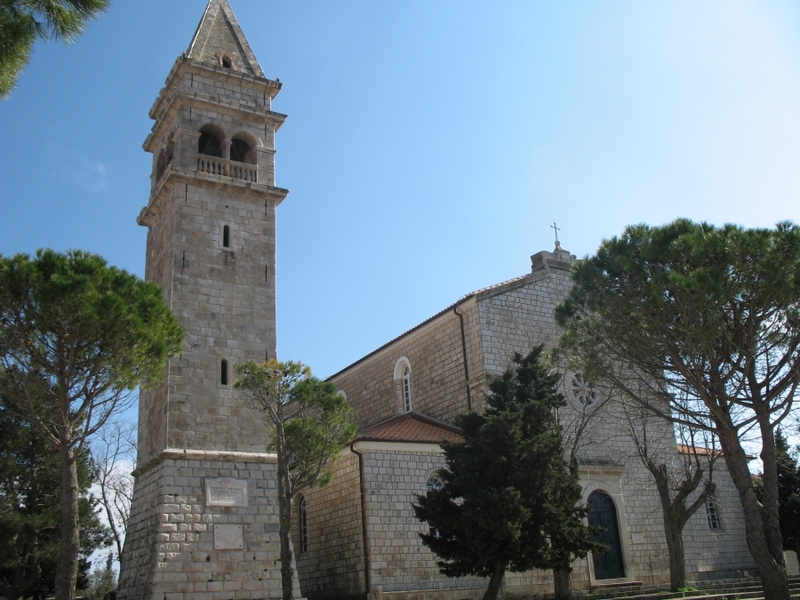 Visit of the church of Saint Donat - the symbol of the city and the most famous monumental edifice in Croatia from the early Middle Ages (9th c.). 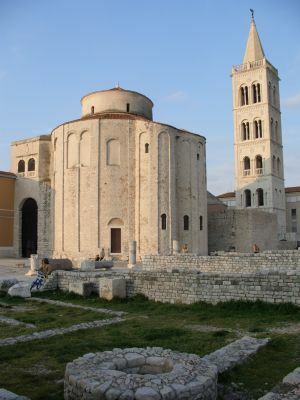 Discover the Cathedral of St. Anastasia, considered to be the most impressive basilica in Dalmatia. Its oldest parts are an early Christian basilica, but its present Romanesque appearance was shaped in the 12th century. Continue to Sibenik, the oldest Croatian and Slavic city on the Adriatic with the most famous sight the Cathedral of St. James, from 15th century, built by Juraj Dalmatinac, whose statue made by one of the biggest Croatian sculptor Ivan Mestrovic, stands on the square in front of his masterpiece. Short sightseeing of Sibenik. Dinner and overnight in hotel in Sibenik. 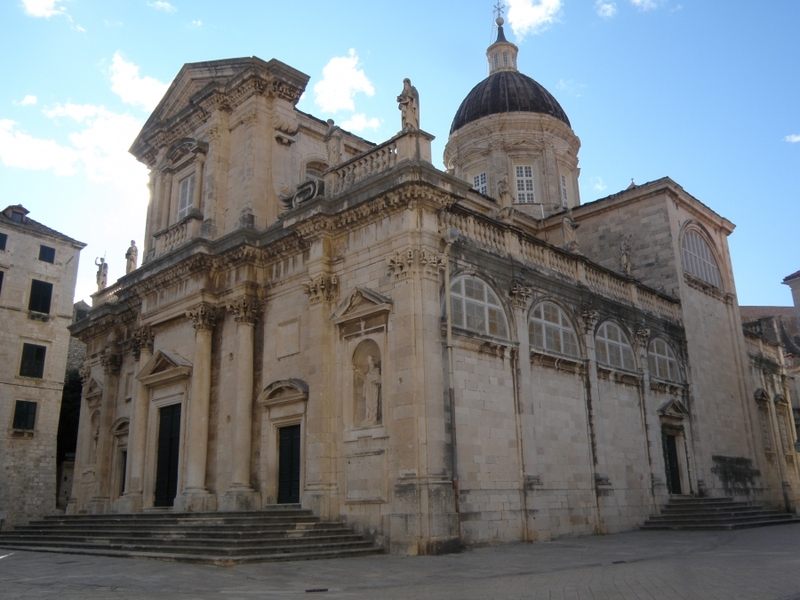 After breakfast, visit of the Cathedral St. Jakob in Sibenik. Continue to the National Park Krka, one of the most amazing in Dalmatia, surrounded by untouched nature - enjoy the sights of crystal clear waters, waterfalls and small lakes. Embark boat on the river Krka for a cruise to the island of Visovac. 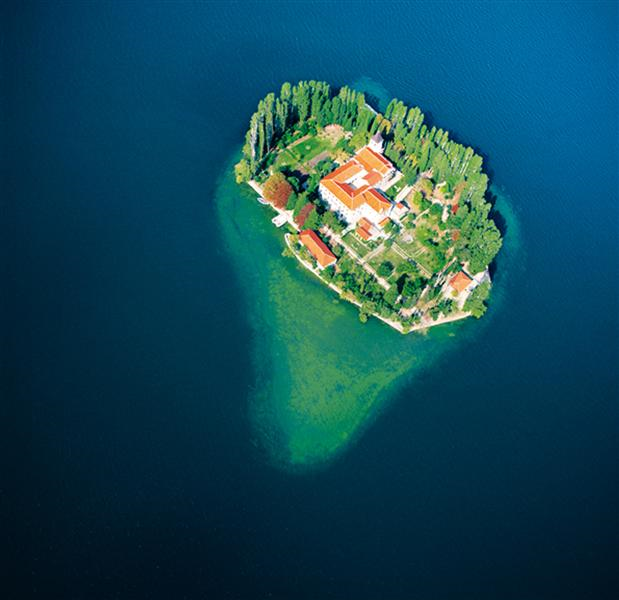 Throughout the turbulent history of this region, the island of Visovac has always been an oasis of peace, where the Franciscan monastery and church from the 15th century served as fortresses of spirituality, morality and national identity. Sail back to Skradinski buk – where you will have time for wondering around. Continue drive to Trogir. Dinner and overnight in hotel in Trogir. After breakfast, short sightseeing of Trogir, known as a town museum, included in UNESCO's World Heritage List. Walk through its narrow streets passing stone houses, churches, palaces, monasteries and walls. Visit the Cathedral of St. Lawrence , the main attraction in Trogir with the famous Romanesque portal created by the local artist Radovan. The sides of the portal feature lion figures, with the figures of Adam and Eve above them. Continue to Split also included in UNESCO's World Heritage List. Split is the largest and most important town in Dalmatia. The town was developed around the palace erected by the Roman Emperor Diocletian in the 4th century. Visit the well preserved cellars of Diocletians Palace, walk up the stairs to Peristil, where you will discover the beautiful Jupiter’s Temple. 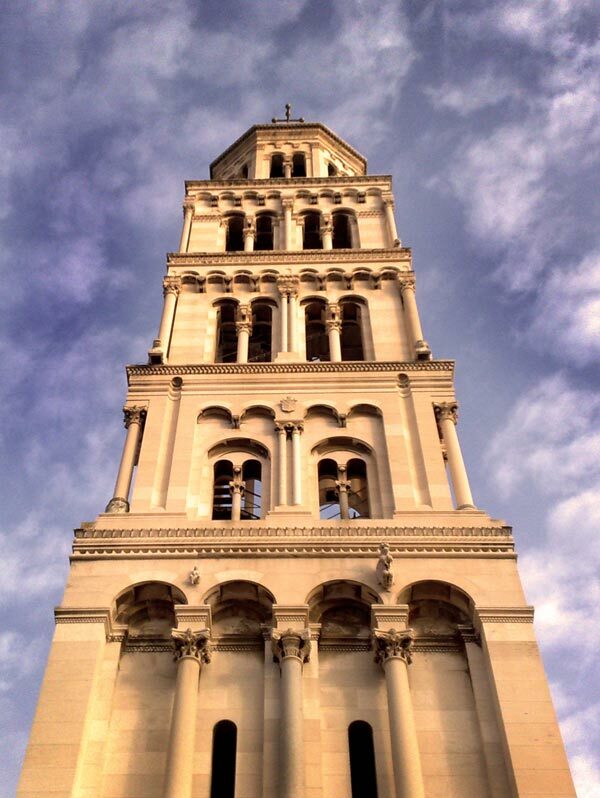 Admire the Cathedral of St Duje, the patron of Split, originally the mausoleum of the palace, for which is considered the oldest Cathedral in the World. After free time, continue drive to Medjugorje. Dinner and accommodation in hotel. Breakfast at the hotel. 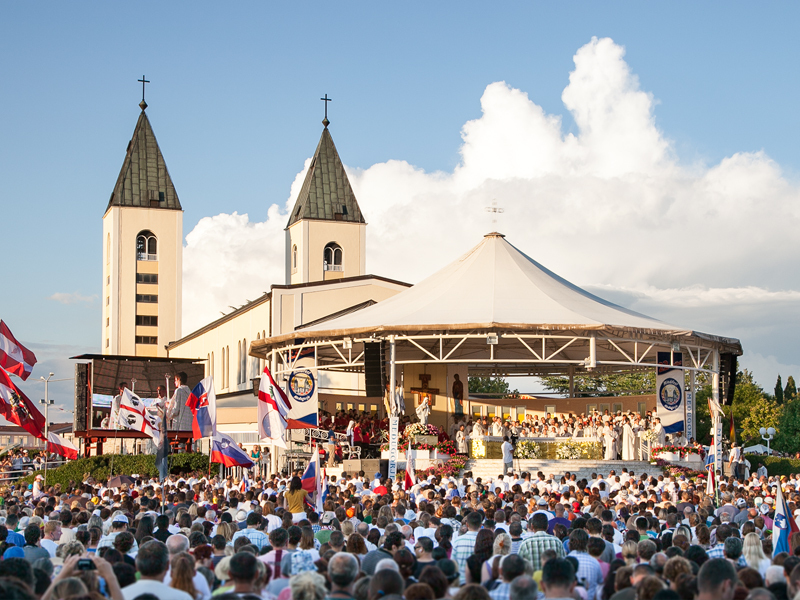 Since the first apparition of Our Lady at the beginning of 1981., millions of people of all faiths, from all over the world, have visited Medjugorje and have left spiritually strengthened and renewed. Take a walk to the Apparition Hill by „the way of the rosary“ marked by wooden crosses and bronze reliefs. Mass can be arranged.Departure to Dubrovnik, with a stop in Ston, a historical town whith an important strategic role during the Ragusian Republic: its salt works, dating back to Roman times, were worth a fortune, while the defensive walls provided security in turbulent medieval times. This walls are one of the longest defensive walls in the world. Continue drive to Dubrovnik. Dinner and accommodation in hotel in Dubrovnik. After breakfast, sightseeing tour of Dubrovnik with a panoramic drive. First stop is one of the most beautiful view points above the city which UNESCO has listed in the World Heritage List. After taking photos of the amazing city walls, ancient rooftops and picturesque buildings, drive back to the city to a walk through the Stradun, the main city's promenade. Among many historical and cultural sites in the city, on this tour you will visit the Franciscan monastery with one of the oldest pharmacies in the world and the Treasury of the Cathedral. The Franciscan monastery is built in the Romanesque-Gothic style and along with its cluster is considered to be a masterpiece of architectural arts. The Old Pharmacy, located inside the Franciscan monastery, was opened in 1317. It is the third oldest pharmacy in Europe, but the only one still working. The inventories, ceramics, bowls, laboratory equipment and old medical books of the old Pharmacy are kept in the Franciscan Monastery Museum, among other highly valued and priceless objects of Dubrovnik's historic and cultural past. Second highlight is the impressive baroque Cathedral with its Treasury, built to replace the Romanesque Cathedral destroyed in the Great Earthquake in 1667. The reconstructed Cathedral is a three-hall building containing a rich treasury and a line of paintings by top art masters, such as Padovani, J. Palma the Younger, G.G. Savoldo, Parmigianino and many others. The Cathedral's Treasury is situated in the beautiful baroque chapel and it consists 138 reliquaries, most of which are traditionally carried in procession round the city on the feast of St. Blaise (February). Afternoon at leisure. Dinner and accommodation in hotel. Breakfast at hotel. Excursion to the beautiful historical town of Cavtat, one of the most beautiful places on the eastern Adriatic coast. Cavtat was originally a Greek settlement called Epidauros. Around 228 BC it became a Roman colony. Enjoy the walk through the town filled with beautiful palaces and luxuriant vegetation. Visit the mausoleum of the Račić family (the work of Ivan Meštrović, one of Croatia's greatest sculptors), the home and gallery of the great Croatian painter Vlaho Bukovac, the Franciscan monastery and Church of St. Blaise (Vlaho) from the 15th century, the collection of the scientist and attorney Baltazar Bogišić, and the Baroque parish Church of St. Nicholas. After sightseeing, departure for lunch to the picturesque Konavle valley, a region covered with vineyards and olive groves, which enchants visitors with its natural beauty and wealth of folklore tradition where the oldest villagers still wear the traditional folk costumes. Dinner and accommodation in the hotel in Dubrovnik. After breakfast, transfer to the Dubrovnik airport for the return flight home.